As part of World Backup Day, I was asked to write something about some of the major innovations modern technology has provided to enable us to look after our most valuable asset, our data. It is coming up to 30 years now, that I have been involved in IT and have seen data backup and protection solutions come and go. Whilst up in the loft last week I found an old QIC tape (that’s Quarter Inch Cartridge to those under 40) that could store... 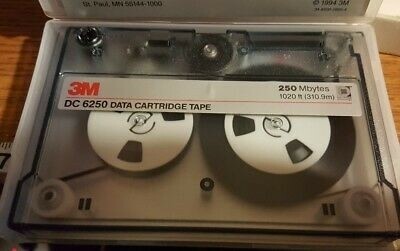 Wait for it... 250MB. I then spent the rest of the day trying to think of things that I couldn’t fit on it. I remember backups, then verification of backups (essentially re-reading the tapes) being an absolute chore especially if multiple tapes were involved in the backup job. This didn’t change for quite a while and even with the era of the disk to disk backups, whereby the process could be automated somewhat, the amount of time taken greatly increased the overall backup window and therefore the number of backups that could be taken in a given time (see RPO – Recovery Point Objective). This “pain” caused many IT departments to forgo the verification process altogether leading to a situation I like to call “Schrodinger’s Backup”. If you cast your mind back to your school physics lessons, you may remember the phrase “Schrodinger’s Cat”. The renowned physicist Ernst Schrodinger came up with a thought experiment to try and explain some weirdness of Quantum physics called 'Superposition' where atoms must be thought to be in multiple states at the same time. To paraphrase the details, the experiment described a cat in a box with a phial of poison. Without opening the box and observing the state of the cat, you cannot ascertain if the cat is alive or dead and must assume it is both. i.e without observation, you have no way of knowing. Replace “cat” with “backups” and you will see what I’m getting at in that without testing or verification of the backups (hopefully not in a recovery situation) you cannot KNOW if they are any good. So, do I need to carry out a full restore, just to make sure my backups will work? Well… in the past yes, however, data protection has moved on. Veeam provide a fantastic solution for this problem by combining 2 great features of the Veeam Backup and Replication product. 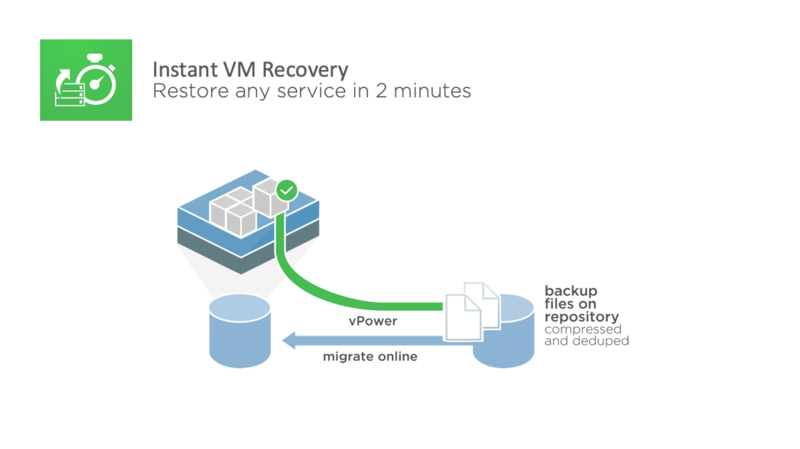 Instant Virtualisation – this feature allows us to “spin up” and run a virtual workload directly from the backup image – effectively booting my VM from my backup in a few minutes. I can then monitor the VM boot process and will hopefully view, what , in a recovery scenario, can be the most beautiful site in the world – a Windows (or Linux) login screen as opposed to the nightmarish Blue Screen of Death which many IT professionals like myself have seen only too often in the small hours during a disaster recovery scenario. 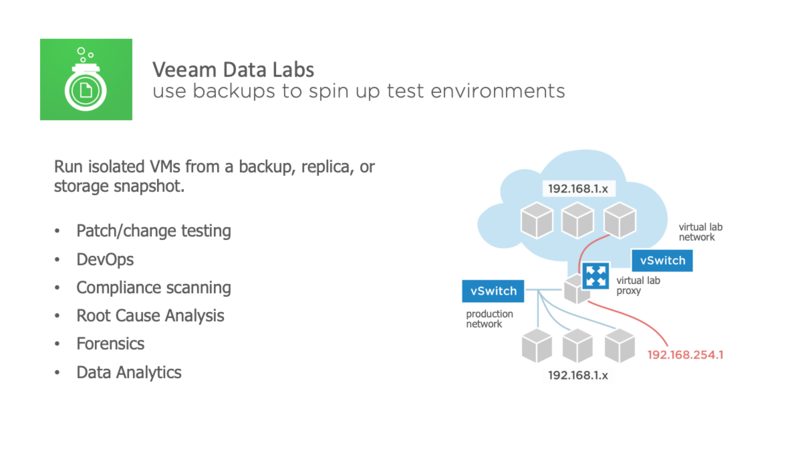 Veeam Data Labs – This takes the verification process one step further by spinning up the VM in its own “bubble” network, completely separate from the production environment but still contactable via a funky, magical, virtual lab networking appliance baked into the solution. This allows us to carry out ping or more advanced tests on the server such as DNS requests or even SQL queries effectively ensuring a VM recovery to a known good state. For me, data protection technology is now a first-class citizen when it comes to innovation thanks to companies like Veeam who see the issues and provide a solution that “just works”. For more information on how to backup your data, give us a call on 0113 387 1070 or email [email protected].